Wearables are the new black when it comes to new technology, but most of them are geared toward fitness in some way. The Neclumi is wearable technology that’s all about looking good and attracting attention. 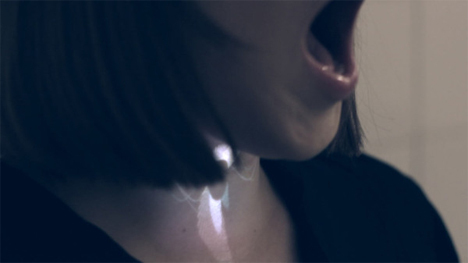 The unique necklace from panGenerator consists of a pico projector connected via HDMI cable and mounted on the wearer’s chest. The projector is controlled via a custom iPhone app. 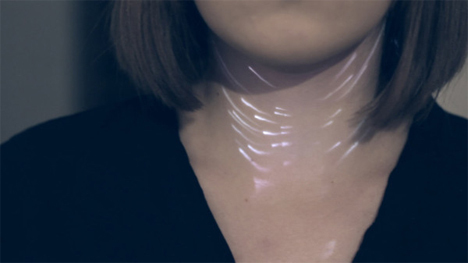 It projects light patterns onto the wearer’s neck; ephemeral light takes the place of precious metals and jewels. From the app, the wearer can choose between several modes. They all work based on technology built into the Neclumi. There is an accelerometer to measure body movement, a pedometer to measure walking speed, a microphone to measure ambient sound, and a compass to determine the rotation of the body. 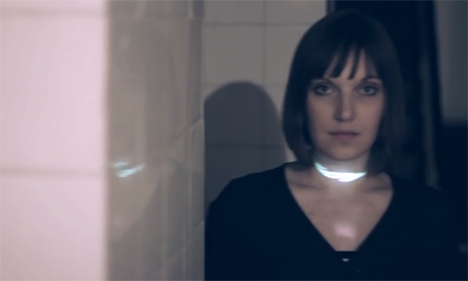 The display on the wearer’s neck depends on the chosen mode and the wearer’s actions. 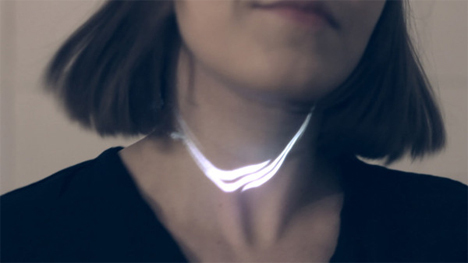 The current iteration of the Neclumi necklace is a proof-of-concept, not an actual product. 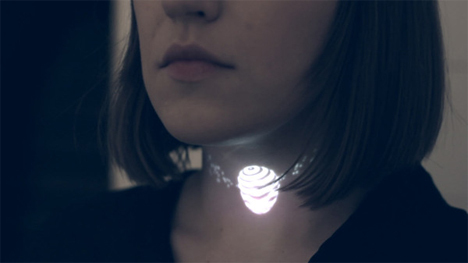 But with the constant miniaturization of technology, the folks at panGenerator believe that Neclumi and similar wearable projected jewelry will become not only possible, but commonplace in the next few years. See more in Art of Tech or under Technology. November, 2014.